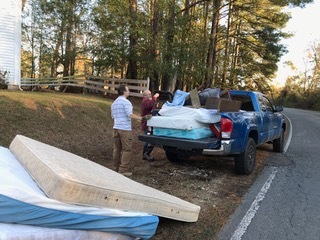 Thanks to an amazing crew of UU volunteers from Raleigh, Chapel Hill, Kinston, and Greensboro worked all day on Saturday, November 10, 2018 at the Shelter Neck UU Camp in Pender County to tear out the bathrooms in the Williams building, the wash area linoleum, throw out mattresses and furniture, and create a locked door for the chapel! 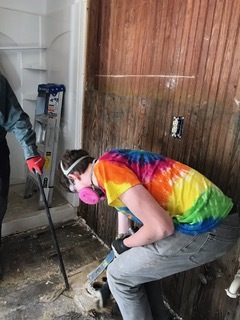 Additional thanks go out to the UU Church of Belmont, MA Youth Group under the guidance of RE Director, Cora McCold, who have volunteered to come to North Carolina and assist with flood relief and recover at the Shelter Neck UU Camp and in New Bern! 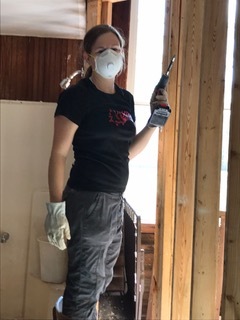 North Carolina UUs are invited to come to Shelter Neck next Saturday, November 17, from 9:30 am to 4:30 pm to complete tearing out walls and plywood floor in Williams and continue taking out the lath in the Dix House and begin to tera out the file dining and kitchen floors. 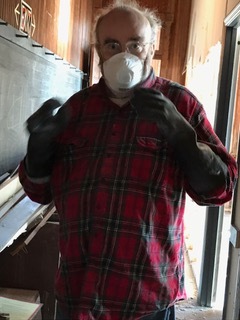 Register at ShelterNeckRocovery.weebly.com.